Fashion forward contemporary style rug with soothing pattern. Can be easily matched with any modern type décor. This rug depicts a puzzle maze and is hand-tufted in wool. 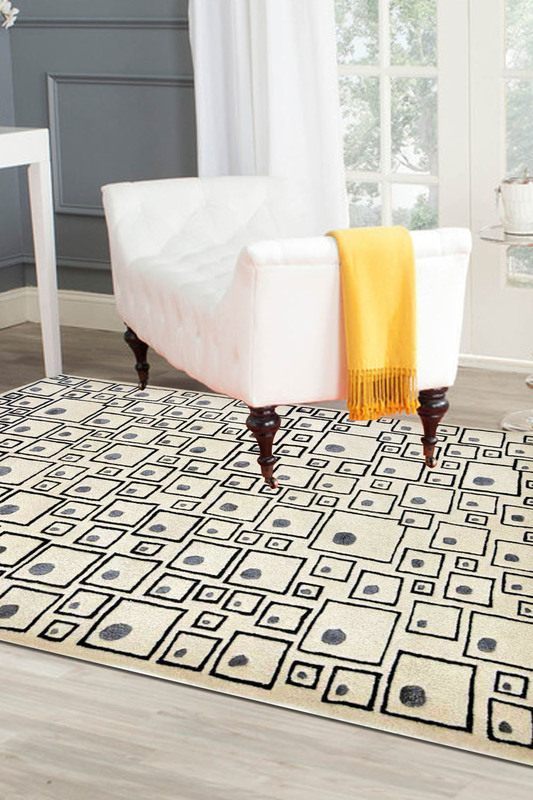 - Clean and chic Hand-tufted modern design rug with simplistic pattern. - Colors are Ivory/Cream background with black square boxes and patches of light gray. - Perfect for a contemporary look room with basic furniture. - This Rugsandbeyond rug exudes a soothing effect in any given room and is made is 100% Wool. - It has an extremely soft texture and can be easily maintained.